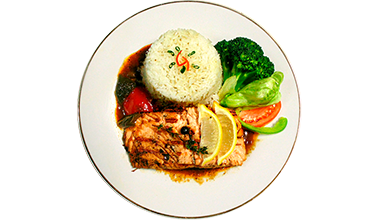 Curry Salmon (8 oz) Salmon sautéed in our succulent blend of curry sauce with a delightful array of vegetables. Served with your choice of two sides. Rice is optional. Grilled Salmon (8 oz) A moist, delicately seasoned 8oz filet, grilled to perfection and topped with our homemade salmon sauce. Served with your choice of two sides. Rice is optional. 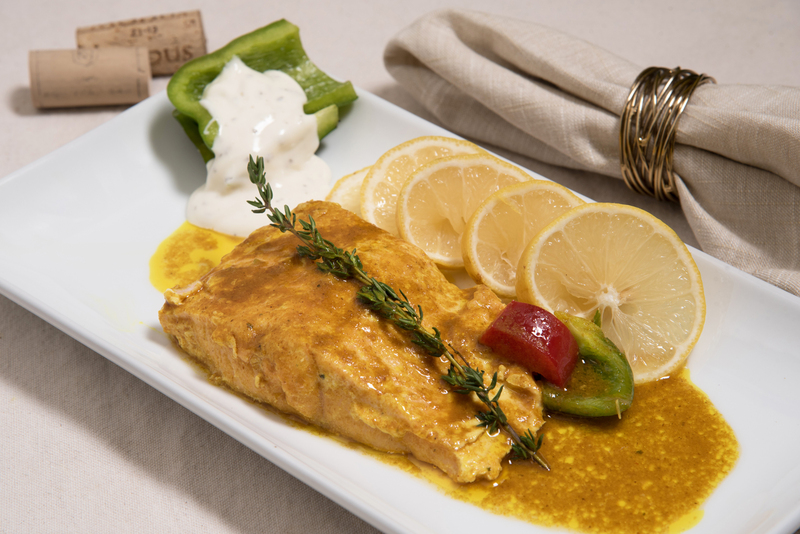 Garlic Salmon (8 oz) Salmon sautéed in a rich garlic sauce with herbs and spices. Served with your choice of two sides. Rice is optional. 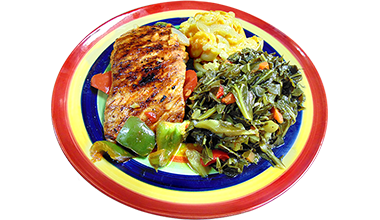 Jerk Salmon (Spicy) (8 oz) Our jerk salmon is grilled and simmered in our special blend of homemade jerk sauce with onions and peppers. Served with your choice of two sides. Rice is optional. 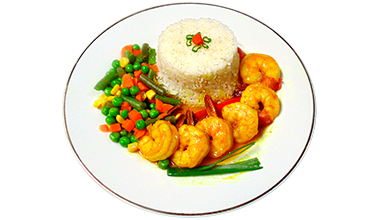 Curry Shrimp (7 Jumbo) Jumbo Shrimps sautéed in our succulent blend of curry sauce with a delightful array of vegetables. Served with your choice of two sides. Rice is optional. 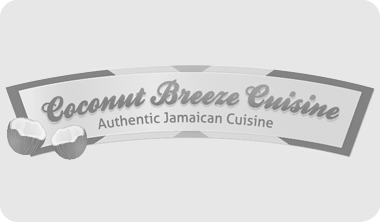 Coconut Shrimp Combining our special blend of vegetables, fresh herbs and spices, the jumbo shrimps are sautéed in homemade Jamaican coconut sauce, bringing the zesty and juicy Jamaican flavors together. 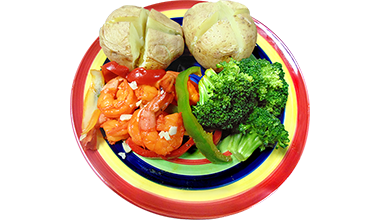 Butter Shrimp (7 Jumbo) Juicy Jumbo shrimps sautéed in a flavorful butter sauce with onions and bell peppers. Served with your choice of two sides. Rice is optional. Garlic Shrimp (7 Jumbo) Juicy Jumbo shrimps sautéed in a rich garlic sauce with fresh herbs and spices. Served with your choice of two sides. Rice is optional. 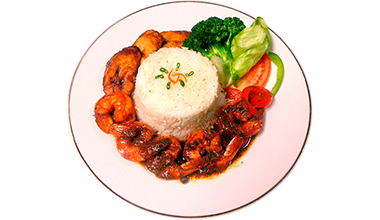 Jerk Shrimp (Spicy) (7 Jumbo) Sautéed in our special homemade Jamaican jerk sauce, bringing the sweet, spicy and juicy flavors of Jamaica together. Served with your choice of two sides. Rice is optional. 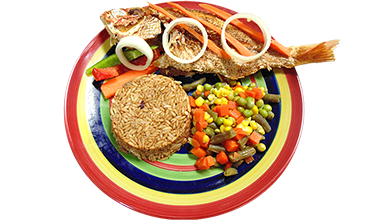 Coconut Snapper Combining our special blend of vegetables, fresh herbs and spices, the snapper is sautéed in homemade Jamaican coconut sauce, bringing the zesty and juicy Jamaican flavors together. 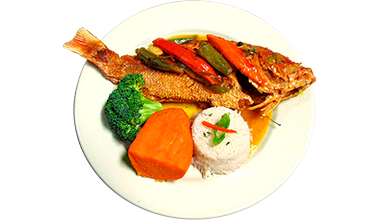 Jerk Snapper (Spicy) A whole snapper simmered in our homemade jerk sauce with red peppers and carrots. Served with your choice of two sides. Rice is optional. 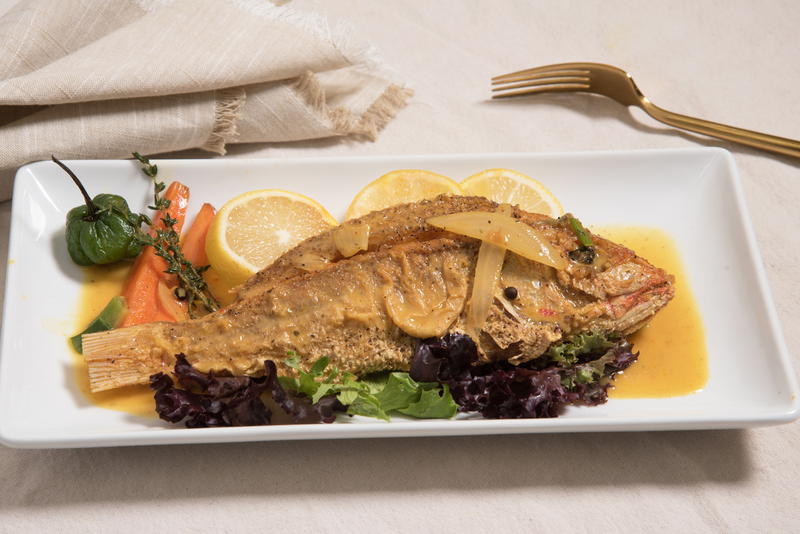 Escovish Snapper A whole red snapper deep fried and topped with a tangy vinaigrette sauce. Served with your choice of two sides. Rice is optional. Steamed Snapper A whole snapper lightly steamed with fresh onions, okra, bell peppers and carrots. Served with your choice of two sides. Rice is optional. 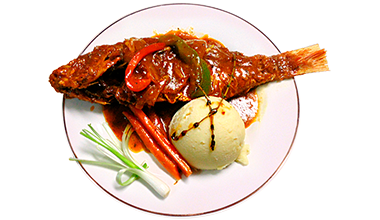 Stew Snapper A whole snapper fried and simmered in our richly flavored brown stew gravy. Served with your choice of two sides. Rice is optional. 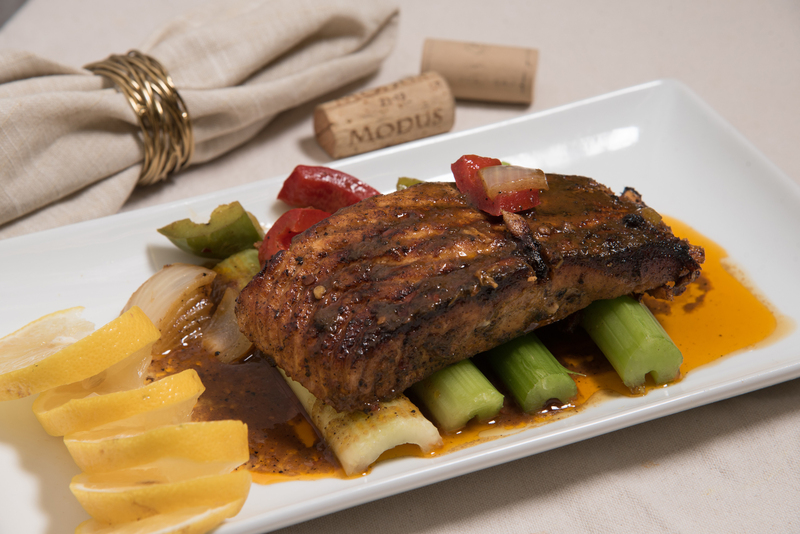 Side of Jerk Salmon (Spicy) (8 oz) Our jerk salmon is grilled and simmered in our special blend of homemade jerk sauce with onions and peppers. This platter does not come with sides. 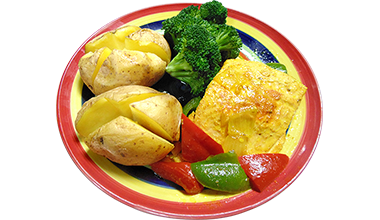 Side of Curry Salmon (8 oz) Salmon sautéed in our succulent blend of curry sauce with a delightful array of vegetables. This platter does not come with sides. 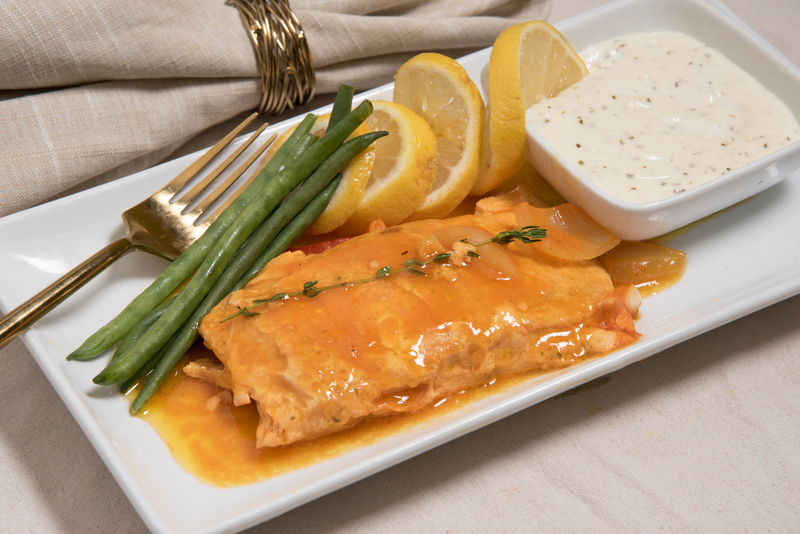 Side of Grilled Salmon (8 oz) A moist, delicately seasoned 8oz filet, grilled to perfection and topped with our homemade salmon sauce. This platter does not come with sides. 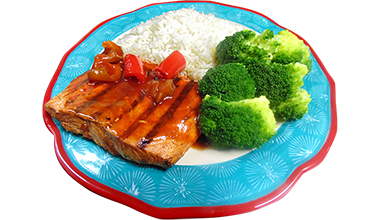 Side of Garlic Salmon (8 oz) Salmon sautéed in a rich garlic sauce with herbs and spices. This platter does not come with sides. 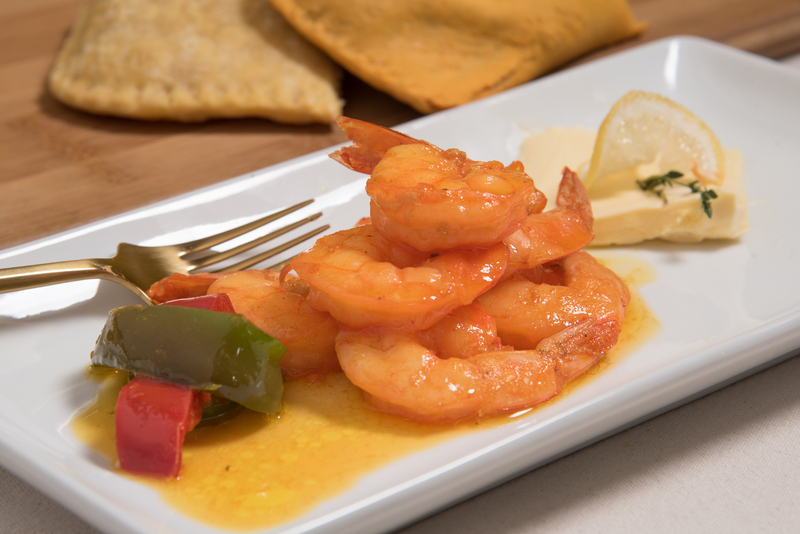 Side of Butter Shrimp (7 Jumbo) Juicy Jumbo shrimps sautéed in a flavorful butter sauce with onions and bell peppers. This platter does not come with sides. 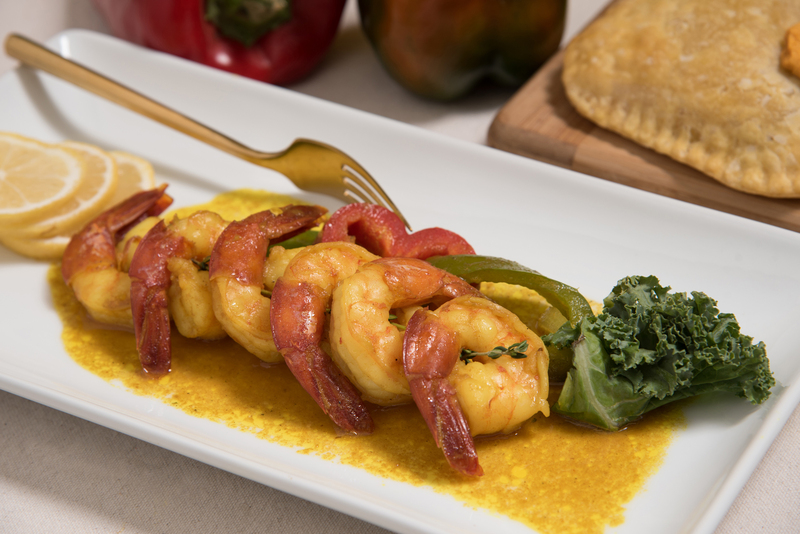 Side of Jerk Shrimp (Spicy) (7 Jumbo) Sautéed in our special homemade Jamaican jerk sauce, bringing the sweet, spicy, and juicy flavors of Jamaica together. This platter does not come with sides. 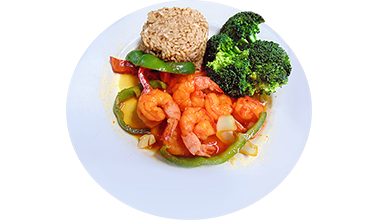 Side of Curry Shrimp (7 Jumbo) Jumbo Shrimps sautéed in our succulent blend of curry sauce with a delightful array of vegetables. This platter does not come with sides. 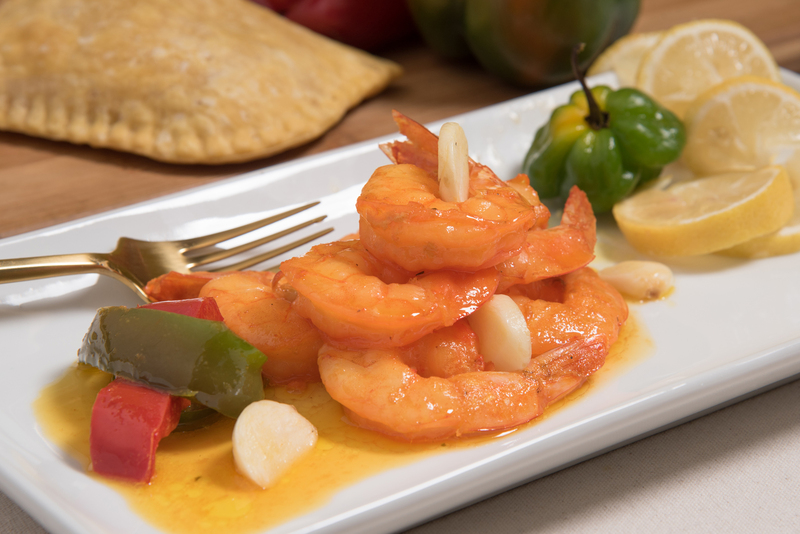 Side of Garlic Shrimp (7 Jumbo) Juicy Jumbo shrimps sautéed in a rich garlic sauce with fresh herbs and spices. This platter does not come with sides. 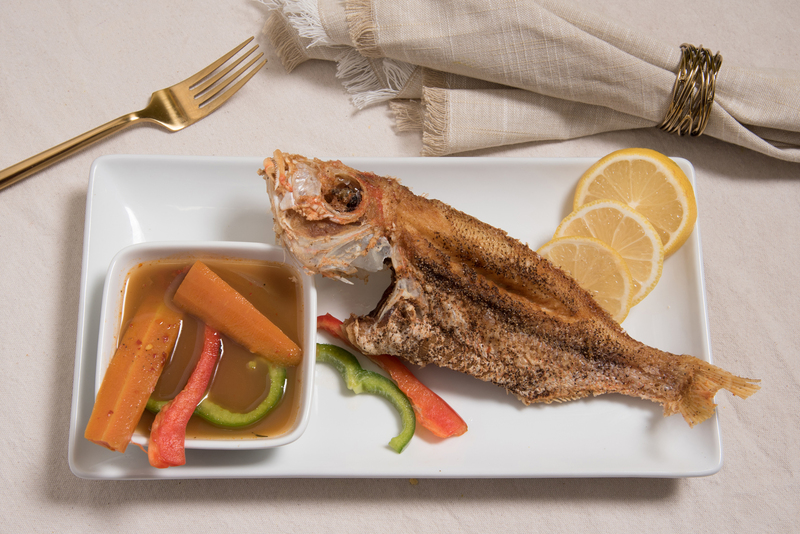 Side of Stew Snapper A whole snapper fried and simmered in our richly flavored brown stew gravy. This platter does not come with sides. 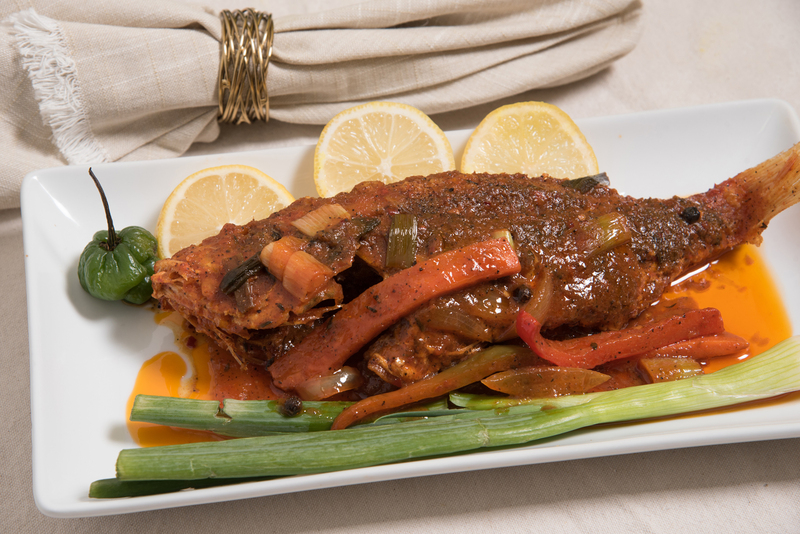 Side of Jerk Snapper (Spicy) A whole snapper simmered in our homemade jerk sauce with red peppers and carrots. This platter does not come with sides. Side of Escovish Snapper A whole red snapper deep fried and topped with a tangy vinaigrette sauce. This platter does not come with sides.